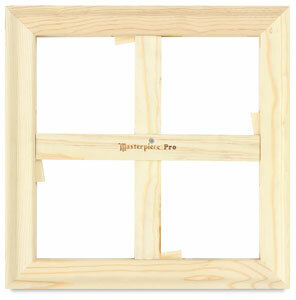 With Masterpiece Monet Pro Stretcher Bar Kits, artists can easily build their own cross-braced stretcher bar frames. Each kit includes two bars and one cross brace (two kits are required to create a full frame). These braces help keep the stretcher bars supported and straight, and help prevent the canvas from loosening over time. The braces are keyable and keys are included, so you can always keep your tension adjusted to perfection. 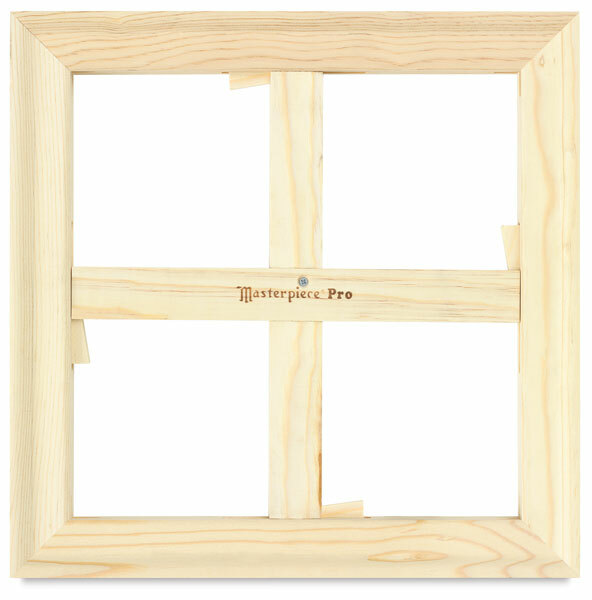 Masterpiece Monet Pro Stretcher Bars are made of fine, American-grown solid wood with no finger joints. They are 1-7/16" deep for an impressive, gallery-quality presentation and provide ½" of canvas relief. Assembly instructions are included on the label.